Buttons ... for all your Double Stitch projects! We have buttons packaged in all the colors you need for embellishing your own framed quilt art and quilts. There are approximately 50+ buttons in each package, along with two cute red hearts. 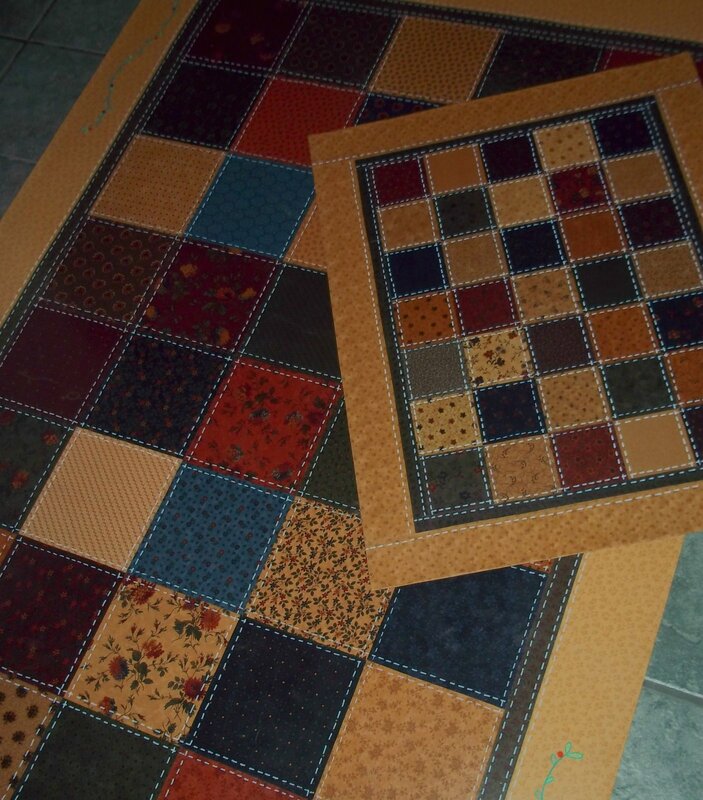 Using a multi-purpose floor cloth, canvas, or even a scrap of vinyl flooring, you can make a beautiful "quilted" floor mat. The process is long...lots of drying time....but after you make one mat you will want to make many. 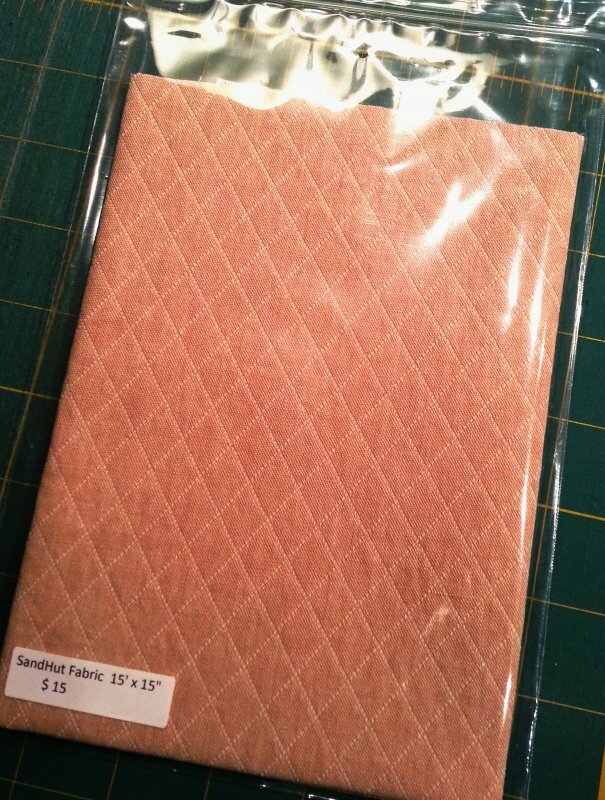 This piece of SandHut fabric is cut to 15" x 15" to accommodate any of our project backgrounds. It is in a natural color. 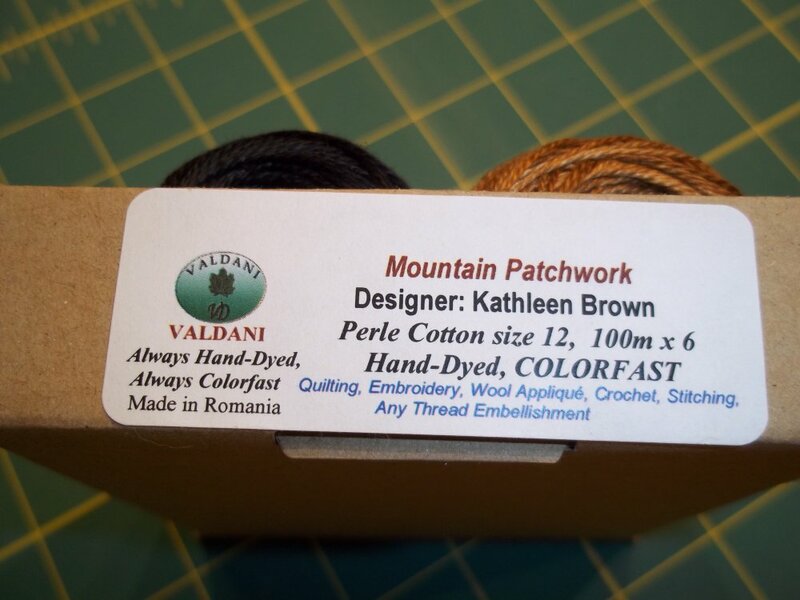 Boxed Valdani perle cotton thread collection used in most of the patterns by Mountain Patchwork. The perle cotton is size 12.